Pet Insurance coverage with a Lost Pet Recovery Service to help find your pet if it ever becomes lost. 24PetWatch Insurance is a subsidy of Pethealth Inc, an “international leader in the provision of animal management software, RFID microchip identification, database related services for companion animals, and pet health insurance”. They offer regular pet insurance and also a recovery service for if your pet ever runs away. While this recovery service is very good, their insurance plans are not as attractive as other plans offered by competing companies, and their website leaves a lot to be desired. 24PetWatch recently went through some changes, one of them being that they are now underwritten by The North River Insurance Company instead of Praetorian Insurance Company. As a result of this many policy holders saw a substantial increase in their premiums when their policies came due for renewal. 24PetWatch is ideal for owners who don’t want, or already have, pet insurance but still want extra assistance if their pet runs away. 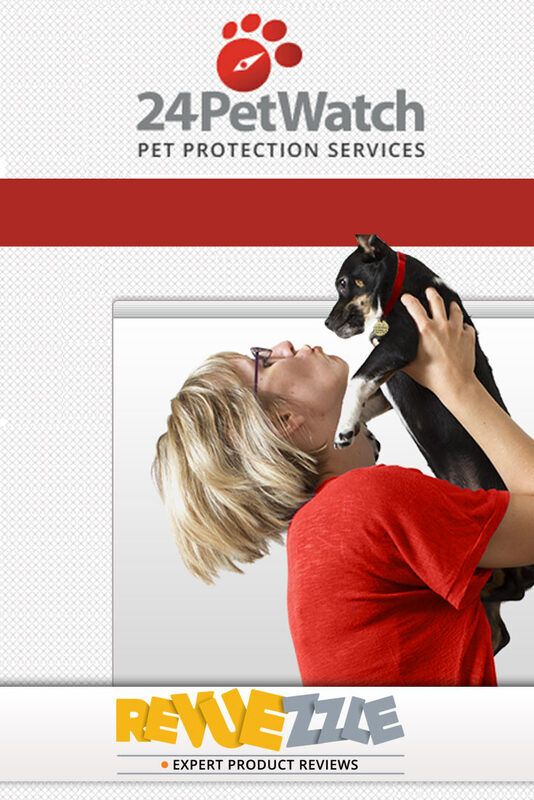 According to their website 24PetWatch Insurance only offers five different insurance plans. However if you call in to speak with a representative you will find out that they actually have seven different plans, but two of them are not posted online. They range from an accident only plan up to their premium plan known as “ChampionCare”, which is the only plan to cover routine care. Each plan must have a reimbursement level of 80% and depending on the plan you can have a deductible of $100, $250, $500, or $1,000. The annual limits are $1,500, $3,000, $5,000, $10,000, and $20,000, and they reset each year since there are no lifetime limits. They have no option for an unlimited annual plan. 24PetWatch also has a very interesting service for lost pets called “Lost Pet Recovery Service”. For an annual fee that averages around $20, 24PetWatch will provide 24 hours service if you ever lose your pet. By using your pet’s unique microchip they are notified when they are found and can then return your pet to you as quickly as possible. There is a 14 day waiting period on most plans, but on their Essential plan it is 30 days after enrollment for illness before coverage is applied. For accidents and injuries coverage starts on next day after effect date of policy. Any problems that have been diagnosed before coverage or occur during the waiting period will be considered a pre-existing condition and thus not subject to coverage. 24PetWatch Insurance allows you to go to any licensed veterinarian in the US and Canada. You are also covered if you take your pet to a therapist or specialist, as long as they are also licensed veterinarians. Like most pet insurance companies, pre-existing conditions are not covered. Routine and preventative care are only covered with their most expensive plan, since unlike other companies there is no optional add-on that covers these issues. 24PetWatch Insurance does not allow you to choose your reimbursement level. No matter which plan you choose you must have an 80% reimbursement level. Depending on which plan you have you can choose deductibles of $100, $250, $500, and $1,000. There are no lifetime limits with 24PetWatch, but the annual limits are $1,500, $3,000, $5,000, $10,000, or $20,000, depending on which plan you choose. 24PetWatch does not have any optional wellness add-on plans. However, their plans do cover more things than the average plan of competing pet insurances. For example, bloodwork, prescription medication, and lab tests are all included with the general plans. It is easy to enroll in the Lost Pet Recovery Service and with insurance plans that are offered online. However, only 4 of the 7 insurance plans offered by 24PetWatch are available online. To access the other 3 plans you must contact a customer service representative directly. There is no indication of this on the website, thus many customers may not even know that these other plans exist. 24PetWatch has a live chat option on their website that lets you talk with a customer service representative who can answer any questions you have. Customer service is available from 8am-9pm EST Monday-Friday and on Saturday’s from 9am-6PM EST. They can also be reached by phone at 1-866-597-2424. If you use their Lost Pet Recovery service they are available 24 hours a day, 7 days a week, and can be reached at the same number. Price is based on the plan you have, breed, age, gender, geographic location, and your pet’s individual claims experience. On average, owners will pay $31/month if they have a small dog, $34/month for a medium sized dog, and $37/month for a large dog. Cat owners can expect to pay around $19/month. *Sample pricing based on a 2 year old mixed breed pet from Michigan with a $100 deductible and 80% reimbursement level. Only the “ChampionCare” plan provides routine care coverage, up to an annual limit of $500. 24PetWatch will look at your pet’s individual claims experience and may raise your monthly premium based on that. Yearly limits of $1,500, $3,000, $5,000, $10,000, and $20,000. These limits reset every year for the entire lifetime of your pet. Alternative treatments, medications and therapeutic diet, and physical therapy are all included. Dental care is provided with the “ChampionCare” plan only. 24PetWatch is perfect for owners who already have pet insurance with another company but still want help finding their pet if it ever runs away. For only $20/year the peace of mind this service provides is great. Most other insurance companies do not provide this coverage, so many owners who are already covered may still be interested in this. Customer service for the Lost Pet Recovery Service is available 24 hours a day, 7 days a week. Their online chat was very helpful in answering questions as well, and their employees provided information that would not have been found otherwise. Compared to other pet insurance companies the layout and writing of the 24PetWatch website is dreadful. While other websites had a personal touch that help you become familiar with the company, 24PetWatch’s website is difficult to navigate and is very impersonal. As well, only 5 of their 7 insurance policies were available online, so it makes purchasing their insurance very confusing. And even with those 5 policies you are not able to modify the deductible – even on plans where you have a choice in deductible. You are forced to call them to make any changes during your quote. Due to the poor layout of the website I took advantage of the online chat option to have an employee help answer some questions. After a few requests the employee told me that the “ChampionCare” policy was not available online and could only be offered when speaking to a representative on the phone. Since the “ChampionCare” plan provides the best coverage it is strange that it is not included on the website. 24PetWatch will increase how much you have to pay due to the number of claims you file and the amount they have paid to you. They are the one of the only pet insurance companies to do this, as all the other providers guarantee that prices will never increase for filling claims. It is not your fault that you pet is unlucky, so you should not have to pay extra if they get hurt or sick more often. 24PetWatch is very vague on their coverage of Hereditary and Congenital Coverage – therefore be very specific when questioning them with regards to any coverage you may need with regards to hereditary/congenital or breed specific conditions. For instance they do offer cancer coverage but if the cancer is due to hereditary or genetic reasons it may not be covered. They also do cover hip dysplasia as part of the base policy, but coverage of other hereditary conditions is unclear. The insurance plans offered by 24PetWatch are simply not as good as the other options out there. However their Lost Pet Recovery Service is very helpful, and for a small fee of only $20/year is something that many pet owners should consider. Run away pets are very common and most insurance companies do not have a program in place to help you recover them. For this reason, all pet owners should seriously consider using 24PetWatch’s Lost Pet Recovery Service, yet should look elsewhere for actual pet insurance. A good supplemental insurance provider. Dog owners will average $31 per month for a small dog, $34 per month for a medium-sized dog, and $37 per month for a large dog. Cat owners will average $19 per month.